Designing Invitations to special and annual events held at the California Academy of Sciences span from fun to sophisticated. 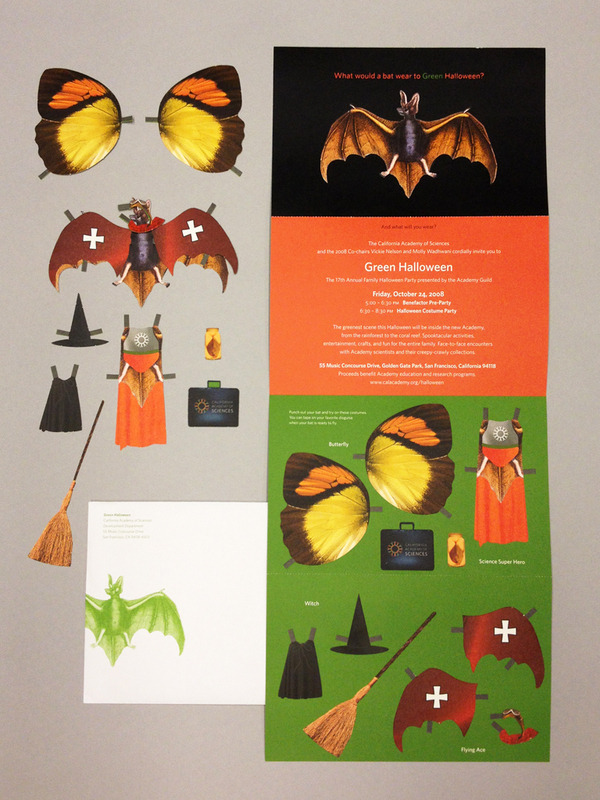 I designed a family friendly Halloween invitation with the idea of a bat from the Academy dressing up for the event. The invitation came with a variety of flying costumes. Using illustrations and photography from the natural world and collections helps to keep events interesting and distinct from other competing institutions. In a previous year, I designed an invitation that allowed sea creatures to glow in the dark using glow-in-the-dark ink. I illustrated the sea creatures based on photographs.